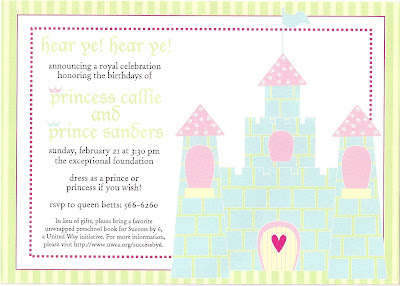 I had a blast helping a mother of two plan a joint birthday party for her 3 year-old princess and 1 year-old prince. Thank you Razzle Dazzel Creative Design!! The Publix cakes were so delicious that Sanders ate his entire smash cake all by himself! 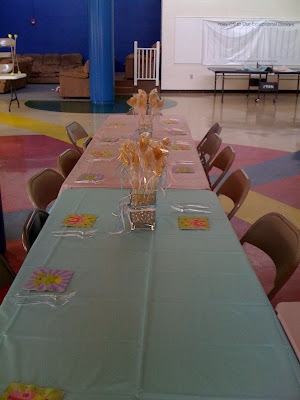 .......and used them as the centerpieces during the party. 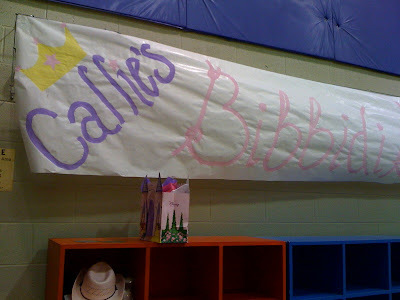 We created a "Callie's Bibbidy Bobbidy Boutique" for the little girls to enjoy. Every little girl got a princess sash with her name on it and was pampered with glitter, stick-on earrings and lip gloss. I couldn't get a picture of the whole sign and forgot to get photos of the boutique..... sorry. 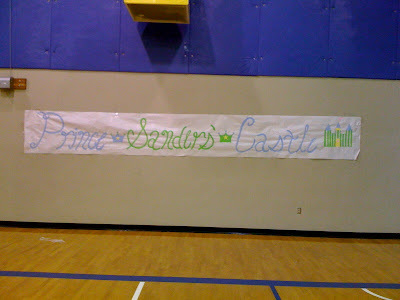 We didn't want Prince Sanders to feel left out so we had a castle moonwalk and named it after the birthday boy. 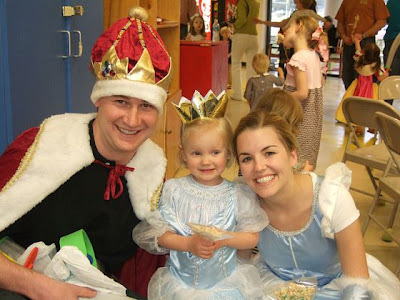 The biggest hit was the surprise visit from the "real" prince and princess. 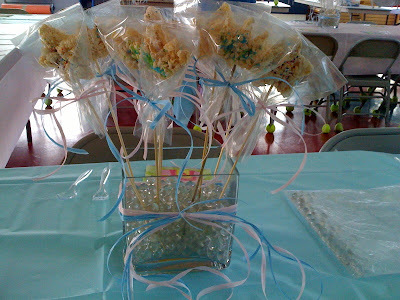 The prince came out carrying foam swords for the boys, and the princess handed out the rice krispie wands. 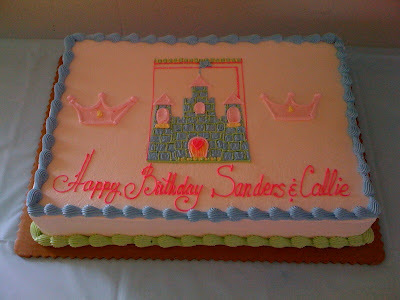 Happy Birthday Callie and Sanders! Thank you for letting Gather be a part of your special day!